Time flies when you are having fun and that seems to be true for the Audi TT. It has been 20 years since Audi introduced its two-seater. To mark the milestone, the Ingolstadt company is introducing a 20th-anniversary edition of the TT. With styling updates, equipment enhancements and power upgrades, the limited-edition model - available as a coupe and roadster - is a spiced-up version of the third-generation car. Just 999 units will be made. British sportscar maker McLaren plans to invest £1.2 billion (S$2.1 billion) between now and 2025 on 18 new models and derivatives. It is aiming for its range to be 100 per cent hybrid by 2025. A new Ultimate Series car as a successor to the McLaren P1 will be on the cards. Its production capacity is expected to reach 6,000 mid-engined sportscars and supercars a year - up from 5,000 now. The new Mazda 6 sedan and wagon have landed. Equipped with cylinder deactivation, the car promises a fuel efficiency improvement of up to 20 per cent. Other features include a 360-degree camera, seven-inch LCD display, eight-inch centre display and ventilated seats upholstered in nappa leather. More than 18,000 European customers took delivery of their Nissan Leaf in the first half of this year, making it the best-selling electric car in Europe. Customers have now placed more than 37,000 orders for the car since it first went on sale in October last year. 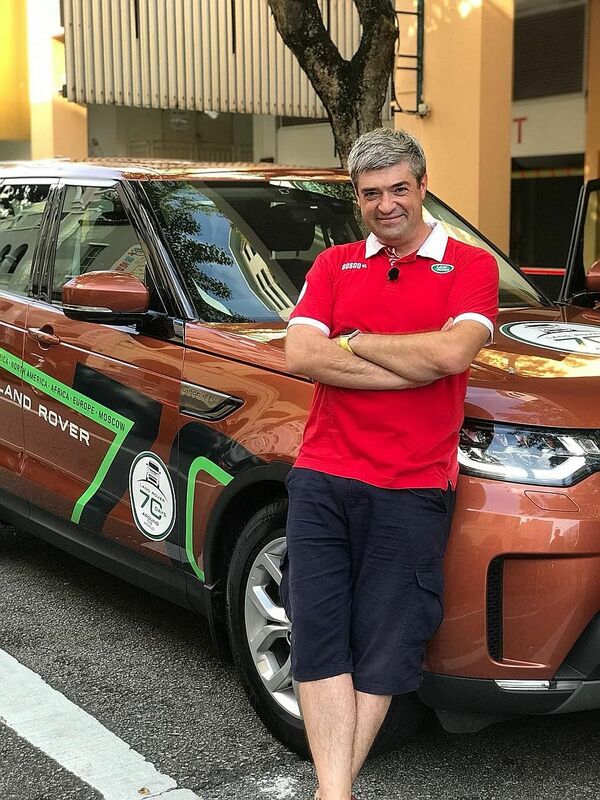 To commemorate the 70th anniversary of Land Rover, a Russian team has embarked on an "Around the world in 70 days" challenge, which commenced in Moscow on June 7. Led by Russian blogger and traveller Sergey Dolya, the team will cross the globe in two Land Rover Discoverys in a bid to beat the fictional record of Around The World In 80 Days (1873) by Jules Vernes . They will drive through 21 countries across six continents, aiming to be back in Moscow on Aug 15. Some 34 days and six countries later, Mr Dolya and his team entered Singapore's borders on July 12 from Malaysia. They have left on their next leg towards Australia. Honda Motor and Panasonic Corp have announced plans to conduct a research experiment in Indonesia on battery sharing using the Honda Mobile Power Pack detachable mobile battery. The two companies are planning to begin the experiment in December. As the third-largest motorcycle market in the world, Indonesia is facing an issue with air pollution associated with the increase in traffic volume. To address this, Jakarta has announced a policy to facilitate the widespread use of electric mobility products. The two companies will install charging stations at several dozen locations, which will charge multiple units of the Mobile Power Pack simultaneously.